Item weight: 29.33lbs. Height: 34'' to 41''. Made of sturdy 50mm high grade steel. Mount plates fits 100*100, 200*100, 200*200, 400*200, 400*400, 600*400mm, fit for flat screen panel TV from 32'' up to 65''. The 4 locking casters on the wheels provide extra stability and security when in use. Adjustable height from 34'' to 41'' makes it easy to find the perfect watching position for any TV. 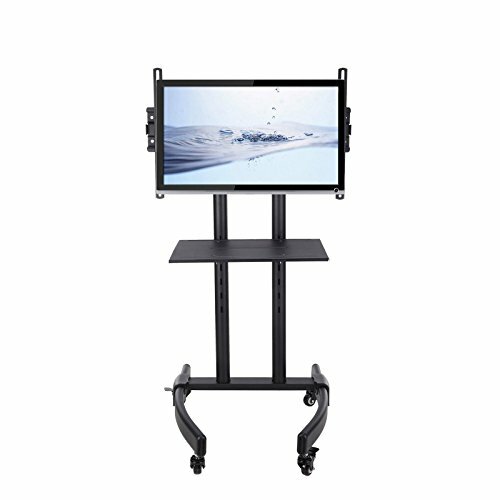 If you have any questions about this product by TV Rolling Cart, contact us by completing and submitting the form below. If you are looking for a specif part number, please include it with your message.